The family of De Stefani dates back to the later half of the 1800’s, having created wines of the utmost quality since the beginning, and continuing today under the experience of the family’s 4th generation winemaker, Alessandro. 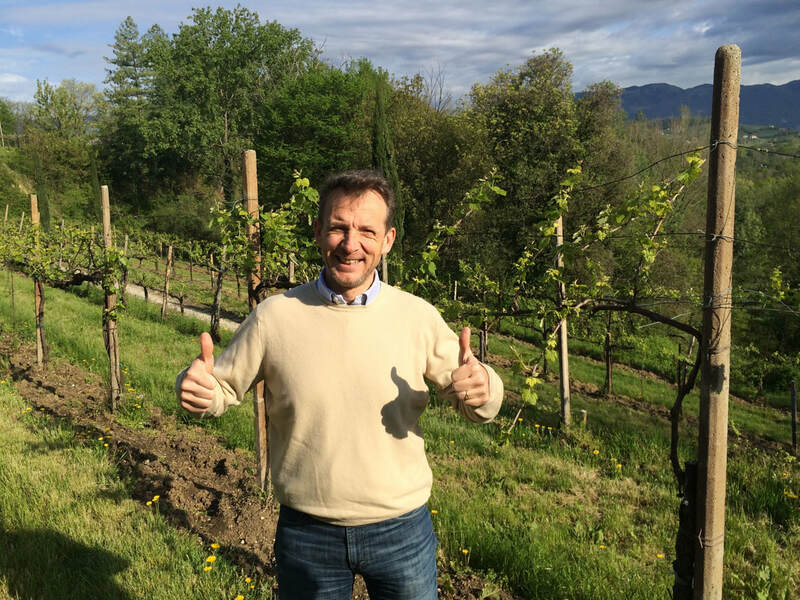 The family began in Refrontolo, a small hilly village in between the two famous Prosecco towns of Conegliano and Valdobbiadene, and more recently has accrued two other vineyards to combine for 40 hectares of total estate. In 1971, Tiziano De Stefani (Alessandro’s father), moved his family to the Fossalta di Piave where they could grow many different grapes on the clay soils of the old river plain, while retaining their esteemed Glera vineyards for Prosecco production. With a complete dedication to as natural production as possible, the estate is organically farmed (in the process of becoming certified as well), they only rely on naturally occurring yeasts as well as never adding sulfites during vinification (since 2009) and only, sometimes, at bottling — all while focusing on many varieties that they have found to create incredible results in their unique terrain. The Redentore label comes from the younger vines of the estate that will someday be destined to carry the De Stefani flagship label. The wines are vinified in the exact same way, but bring incredible value to the estate as a whole. Since 2015, the Redentore wines are made with no additions of sulfites whatsoever, and prove to be of the utmost quality while showcasing mono-varieties of the estate. ​The Prosecco Col Fondo takes Prosecco all the way back to its roots. Harvested from the estate’s naturally farmed Glera fruit in the hills of Refrontolo, where the greatest grapes for Prosecco wine are grown, this wine undergoes its vinification in traditional Method Champenois. After the initial fermentation in steel, the wine is bottled with its lees under the typical crown cap enclosure, including no preservatives or sulfites. From here, the wine undergoes its secondary fermentation in bottle, but is never disgorged before release. This is where this wine takes its name, “Col Fondo,” where the lees are ‘in the bottom.’ This traditional version of Prosecco gives the wine an incredible complexity, with lively and fragrant bread and yeasty notes, on top of the fresh and delicious apple fruit, citrus, and stone. Being that this wine still contains its deposit of lees within the bottle, this Prosecco can be enjoyed by decanting the wine off of the deposit for a clear, sparkling wine, or the deposit can be left in the glass to add to the rich aromas and incredible texture on the palate. The Redentore Pinot Grigio comes from the ‘second label’ of the De Stefani estate. Created in the same natural style as the flagship wines from the property, the Redentore line takes advantage of some of the younger vines (15 years) that will someday produce the exceptional De Stefani wines. This Pinot Grigio has so much style and grace, with ripe tree fruits, spicy citrus notes, and a long unique herbal finish. During its vinification it only spent time in neutral vessels (stainless steel and cement), and never saw additions of sulfites, whatsoever. Ideal with many types of appetizers and seafood, has a quality and value that cannot be ignored.